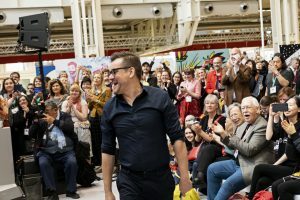 On April 2, Bart Moeyaert received the Astrid Lindgren Memorial Award 2019 at the Bologna Children’s Book Fair. This award is considered to be “The Nobel Prize for Youth Literature”. The author had been nominated for the sixteenth time and was finally awarded the prestigious prize in Bologna.